Abs.edu.kw historical owner info, name servers, Analytics ID, Adsense ID, Addthis ID, advertisers, screenshots, meta tags, whois, site and server info. The American Bilingual School in Kuwait a non-profit K-12 school offering a challenging bilingual curriculum enabling students to achieve their fullest social, intellectual, emotional and physical potential. 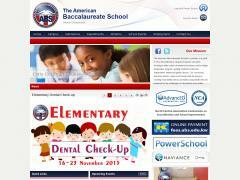 Sites related to Abs.edu.kw based on metadata.